"The key Hindu concept of dharma - the right way, the sanctioned way, which all men must follow, according to their natures - is an elastic concept. At its noblest it combines self-fulfillment and truth to the self with the ideas of action as duty, action as its own spiritual reward, man as a holy vessel." (source: The Treasury of Hinduism - By Harischandra Lal Singh p. 199). Recently, he was in India to attend the Pravasi Bharatiya Divas and discussed some of his controversial ideas about rewriting Indian history. He has starkly reminded us time and again that India was ravaged and intellectually destroyed by invasions that began in about 1000 AD. "How do you ignore history? But the nationalist movement, independence movement ignored it. You read the Glimpses of World History by Jawaharlal Nehru, it talks about the mythical past and then it jumps the difficult period of the invasions and conquests. So you have Chinese pilgrims coming to Bihar, Nalanda and places like that. Then somehow they don't tell you what happens, why these places are in ruin. They never tell you why Elephanta island is in ruins or why Bhubaneswar was desecrated. You see, I am less interested in the Taj Mahal which is a vulgar, crude building, a display of power built on blood and bones. Everything exaggerated, everything overdone, which suggests a complete slave population. I would like to find out what was there before the Taj Mahal. I'm actually more at ease with the epics, the Ramayan and the Mahabharat, and the stories from the Panchantantra. But I would like to see this past recovered and not dodged. That foolish man Nirad Chaudhuri, who wrote one good book, then went into kind of absurd fantasy, he built a whole book around somebody who came with the invaders, Al-Beruni, who said, “the Hindus are very violent and aggressive people”. Their land is being taken away from them, they are being destroyed and enslaved and he says this. This foolish man Chaudhuri builds a book around this statement; that is the kind of absurdity we have to avoid." (source: How do you ignore history? - interview - economictimes.indiatimes.com - January 13 ' '03). He sees India as a vast and ancient civilization that successfully met its own challenges centuries ago. It was first disconcerted, then subjugated, and finally released by the West in a damaged condition. Islam, he claimed, had both enslaved and attempted to wipe out other cultures. He has touched upon the consequences of a series of Muslim invasions of India beginning in the 10th century--and remarked on how these invasions had "shattered" Indian (at that time almost exclusively Hindu) civilization. "There probably has been no imperialism like that of Islam and the Arabs,"
Rama and Lakshman in the epic of Ramayana. He has supported the Ram Janmabhoomi movement and the idea to build a temple at Ayodhya and expressed his sympathy for Hindu Revivalism. "India was trampled over, fought over. You had the invasions and you had the absence of a response to them. There was an absence even of the idea of a people, of a nation defending itself. Only now are people beginning to understand that there has been a great vandalizing of India. The movement is now from below. It has to be dealt with. It is not enough to abuse these youths or use that fashionable word from Europe, 'fascism', There is a big, historical development going on in India." He has pointed that India was one of the cultural basins of the world till about 1400 AD or so, but it had declined since then. (source: Pravasi Bharatiya Divas - rediff.com). (source: OutlookIndia.com, 15 November 1999 and http://www.indpride.com/vsnaipaul.html). Naipaul described the mosque's destruction as being part of a "mighty creative process" unleashed by Hindus. The people who say that there was no temple there are missing the point. Babar, you must understand, had contempt for the country he had conquered. And his building of that mosque was an act of contempt for the country. Today, it seems to me that Indians are becoming alive to their history. Romila Thapar's book on Indian history is a Marxist attitude to history which in substance says: there is a higher truth behind the invasions, feudalism and all that. The correct truth is the way the invaders looked at their actions. They were conquering, they were subjugating. And they were in a country where people never understood this. "What is happening in India is a new historical awakening....Indian intellectuals, who want to be secure in their liberal beliefs, may not understand what is going on. But every other Indian knows precisely what is happening: deep down he knows that a larger response is emerging even if at times this response appears in his eyes to be threatening." (source: An Area of Awakening - Interview with V.S. Naipaul – By Dileep Padgaonkar Times of India July 18, 1993). He says Hindu militancy is a 'creative force'. "Dangerous or not, it's a necessary corrective to history and will continue to remain so." He feels that India was renewing herself, yet again, from her own inexhaustible stream of history and civilization, her native genius. "Indian intellectuals have a responsibility to the state and should start a debate on the Muslim psyche," To speak of Hindu fundamentalism, is a contradiction in terms, it does not exist. Hinduism is not this kind of religion. You know, there are no laws in Hinduism. And there are many forces in Hinduism.... My interest in these popular movements is due to the pride they restore to their adherents in a country ravaged by five or six centuries of brutal government by Muslim invaders. These populations, in particular the peasantry, have been so crushed, that any movement provides a certain sense of pride. The leftists who claim that these wretched folk are fascists are wrong. It's absurd. I think that they are only reclaiming a little of their own identity. We can't discuss it using a Western vocabulary." "What is happening in India is a new, historical awakening. Gandhi used religion in a way as to marshal people for the independence cause. People who entered the independence movement did it because they felt they would earn individual merit. Only now are the people beginning to understand that there has been a great vandalising of India. Because of the nature of the conquest and the nature of Hindu society such understanding had eluded Indians before." "I think when you see so many Hindu temples of the tenth century or earlier time disfigured, defaced, you know that they were not just defaced for fun: that something terrible happened. I feel that the civilization of that closed world was mortally wounded by those invasions. And I would like people, as it were, to be more reverential towards the past, to try to understand it; to preserve it; instead of living in its ruins. The Old World is destroyed. That has to be understood. The ancient Hindu India was destroyed." (source: Interview by Sadanand Menon - The Hindu, 5 July 1998). "The older I get, the more Hindu I become." (source: Hinduism Today August 1999). 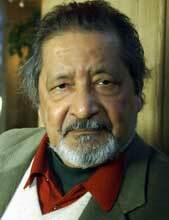 For more on Naipaul, refer to chapter Islamic Onslaught).
" Spirituality is an intrinsic part of Indian culture and life. For the worshipper, this aspect of Indian culture serves as a constant reminder that behind the material forms which constitute our daily world, there is an unchanging consciousness which permeates everything. From times immemorial India's message has been promulgated by her saints, sages, gurus and rishis and transmitted by them to those who were desirous of knowing the truth. The essence of this message is simple: Behind the eyes of every living being on earth there shines a light. This light is one and the same in all beings. This light is immortal, blissful, eternal and indestructible. This is the light of consciousness which makes each and every one of us alive and alert and gives us the power to breathe. It is written in Chapter II, verse 30 of the Srimad Bhagavad Gita that Dayhee nityamavadhyoayam / Dayhay Sarvasya Bhaarat: The spirit which dwells within the body is eternal and indestructible. It dwells in the bodies of all, and is therefore the selfsame spirit in every living human being or creature. This spirit, which can also be called Aatmaa or Self, is the true nature of all. It is indivisible, being one and one alone, and is the unchanging reality behind the changing world which we experience every day through our senses. To know or realize this Self is the quest of every spiritual seeker throughout history, and the means to achieve this loftiest of goals can be found in the spiritual heritage of India." (source: India’s Spiritual Heritage - By Glen P Kezwer). 253. Swami Chinmayananda (1916-1993) founder of Chinmaya Mission. He was not satisfied with degrees in literature and law or with other worldly aspirations pursued the spiritual path in the Himalayas under the guidance of his Gurus Swami Tapovanam and Swami Sivananda. 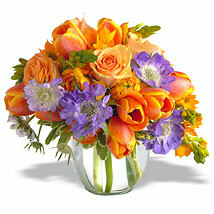 Has written several books including Self-Unfoldment (The Self-Discovery Series). "Hinduism is not bound by any rigid text book or commandments, orders, declarations and revelations; but it is a storehouse of scientific facts and has in it healthy impulses of a growing tradition. The Hindu religion or Sanatana Dharma, is the way of life of perfect living and of gaining mastery over oneself. This religion reveals the secret process which brings forth an effective personality out of a shattered man of despair and disappointment." (source: Hinduism: The Eternal Religion - By M. D. Chaturvedi p. 3-5). Swami Chinmayananda - Tribuneindia.com). "Hinduism is the religion for our times," Unlike the other scriptures, the methodology followed by the Gita appears to be more conducive to the modern, scientific mind and the educated classes. For they don't believe in anything. They want everything to be rationally proved, intellectually defensible. And the approach of the Gita is very rational because Krishna had to address a dynamic, young, educated, intelligent man who was a born skeptic. Arjuna did not believe or understand that Krishna was an intellectual giant. It is only in the eleventh chapter that he got a glimpse - and, thereafter, his attitude changed. But till the eleventh chapter he was absolutely rational. He did not believe a word of what Krishna said. Krishna had to make him believe it by the strength of logic." "The Gita is very intimately connected with the life of everyone of us, whether it be in the market place, at home or in the political field, Bhagavad Gita not only indicates theories of the Hindu way of life, but also reveals certain definite scheme by which every individual can work out his own self-improvement." (source: Hinduism: The Eternal Religion - By M. D. Chaturvedi p. 52). 254. Robert R. C. Zaehner (1913-1974) British historian of religion who investigated the evolution of ethical systems and forms of mysticism, particularly in Eastern religions. 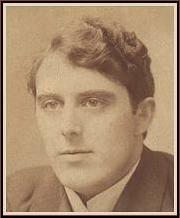 The son of Swiss parents who had immigrated to England, Zaehner studied Oriental languages at the University of Oxford. Author of several books including Hindu Scriptures, and Hinduism. (source: How certain should we be, the problem of religious pluralism – By Mark Tully). He also observed that all traditional poems and meditations and philosophical texts of Hinduism are "different-shaped peaks in one vast, grand, interconnected mountain chain, like the Himalayas." (source: Teachings of Hindu Mystics - By Andrew Harvey p. xv - xviii). (source: The Vision of India - By Sisirkumar Mitra p.207-208). "Though I am still a French man, I adopted this country as my own long ago However, today, I am sad. When I left France for India, I came with a dream: I was going to the land of the Vedas, of the Buddha, a continent with an eternal religion. I thought everyone in this country was turned "inwards", seeking a higher light; I believed India would soon be able to guide the world towards a more meaningful tomorrow. Why I am sad now? I can't help feeling a terrible divide between this dream and today's reality (at least the one depicted in the English media). I still believe in "India of the ages", but I cannot grasp why Indians themselves still refuse to acknowledge the greatness of their culture. Is it not disheartening that historians base their judgment on press reports and not on their own scholarship? Then why do they spend three days discussing text-books when there are so many more important subjects related to history to be discussed? 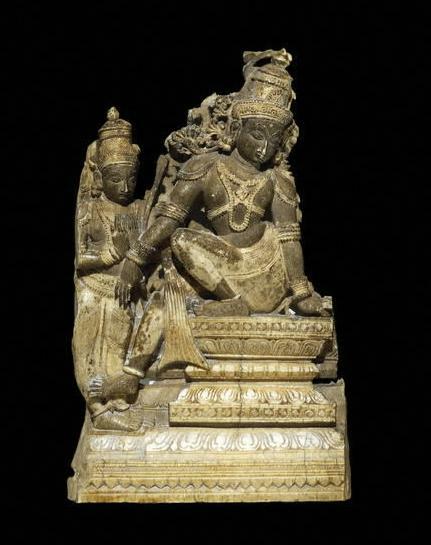 What about the neglected discoveries of Poompuhar or the new sites in the Gulf of Cambay? It is estimated that 12 million Americans are today practicing yoga and that 450 yoga centers are blossoming in the US. The same tidal wave is submerging Europe. In France alone, more than one million people are practicing Buddhist meditation. What is sad and shocking is that these historians, like many intellectuals in India, are not at all concerned by what has always made India great, they prefer to denigrate India. " (source: India of old-new dreams - by Claude Arpi - dailypioneer.com). Traditional India knows that nothing in the universe is chance, that everything is necessity. In the infinite multiplicity of the real it reads a reference to unity, and perceives the rule of a sovereign order even where complexity seems in danger of lapsing chaos and incoherence. The All, in itself and in each of its parts, is governed by an immutable, unbreakable law that supports the world while at the same time transcending it absolutely." (source: Yoga And the Hindu Tradition - By Jean Varenne p. 1-15). 258. Count Louis Hamon aka Cheiro (1866-1936) author of several book, Language of the Hand and World Predictions published in 1926. Born in Ireland as William John Warner, Cheiro also went by the name Count Louis Hamon. He had a wide following of famous European and American clients like Mark Twain, Sarah Bernhardt, Mata Hari, Oscar Wilde, Grover Cleveland, Thomas Edison, the Prince of Wales, General Kitchener, William Gladstone, Bernard Shaw and Joseph Chamberlain. “To consider the origin of this science, we must take our thoughts back to the earliest days of the world’s history, and further more to the consideration of a people the oldest of all, yet one that has survived, and who are today as characteristic and as full of individuality as they were when thousands of years ago the first records of history were written. “Long before Rome or Greece or Israel was even heard of, the mountains of India point back to an age, of learning beyond, and still beyond. From the astronomical calculations that the figures in their temples represent, it has been estimated that the Hindu understood the Precession of the Equinoxes centuries before the Christian Era." (source: Hinduism in The Space Age - By E. Vedavyas p. 233-235). "people who in their ignorance disdain the wisdom of ancient races forget that the great past of India contained secrets of life and philosophy that following civilizations could not controvert, but were forced to accept. For instance, it has been demonstrated that the ancient Hindus understood the precession of the equinoxes and made the calculation that it [a complete cycle] took place once in every 25,870 years. The observation and mathematical precision necessary to establish such a theory has been the wonder and admiration of modern astronomers. They, with their modern knowledge and up-to-date instruments, are still quarrelling among themselves as to whether the precession, the most important feature in astronomy, takes place every 25,870 years or every 24,500 years. The majority believe that the Hindus made no mistakes, but how they arrived at such a calculation is as great a mystery as the origin of life itself." (source: Antiquity of Indian Astrology). “The Kailash temple at Ellora, a complete sunken Brahmanical temple carved out in the late seventh and eighth centuries A. D is over 100 feet high, the largest structure in India to survive from ancient times, larger than the Parthenon. This representation of Shiva’s mountain home, Mount Kailash in the Himalaya, took more than a century to carve, and three million cubic feet of stone were removed before it was completed. An inscription records the exclamation of the last architect on looking at his work: “Wonderful! O How could I ever have done it?”. (source: Decolonizing History: Technology and Culture in India, China and the West 1492 to the Present Day - By Claude Alvares p.72-73). 260. 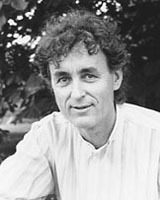 Michel Danino (1956 - ) Born in 1956 at Honfleur (France) into a Jewish family recently emigrated from Morocco, from the age of fifteen Michel Danino was drawn to India, some of her great yogis, and soon to Sri Aurobindo and Mother and their view of evolution which gives a new meaning to our existence on this earth. He has been settled in Tamil Nadu for 25 years and has given many lectures in India and is author of The Invasion That Never Was, The Indian Mind Then and Now, L’Inde et L’invasion de nulle part and Kali Yuga or The Age of Confusion. He is also the convener of the International Forum for India's Heritage. "The so-called “New Age” trend of the 1960s owed as much to India as to America; a number of Western universities offer excellent courses on various aspects of Indian civilization, and if you want to attend some major symposium on Indian culture or India’s ancient history, you may have to go to the U.S.A; some physicists are not shy of showing parallels between quantum mechanics and yogic science; ecologists call for a recognition of our deeper connection with Nature such as we find in the Indian view of the world; a few psychologists want to learn from Indian insights into human nature; hatha yoga has become quite popular." He has shown the reverence with which nature is held in Hinduism. "In fact, since the start of the Judeo-Christian tradition, the West broke away from Nature and began regarding her as so much inanimate matter to be exploited (a polite word for plunder). The contrast with the ancient Indian attitude is as stark as could be. Indian tradition regards the earth as a goddess, Bhudevi ; her consort, Vishnu, the supreme divinity, incarnates from age to age to relieve her of the burden of demonic forces—sometimes of humanity itself. This he does out of love for the earth, his companion. Sita means “furrow,” and she returned to the earth whence she came. Shiva too is bound to the earth through Parvati, daughter of Himavat, i.e. the Himalayas. Earth and Heaven are therefore inseparable: “Heaven is my father; my mother is this vast earth, my close kin,” says the Rig-Veda (I.164.33)." (source: bharatvani.org and Nature and Indian Tradition - By Michel Danino). Refer to Arise Awake to the New Indian Age - By Michel Danino and The Lost River: On the trail of the Sarasvati - By Michel Danino - penguin. "Western civilization, not even three centuries after the Industrial Revolution, is now running out of breath. It has no direction, no healthy foundations, no value left except selfishness and greed, nothing to fill one's heart with. India alone has preserved something of the deeper values that can make a man human, and the world will surely be turning to them in search of a remedy to its advanced malady." Once India's ancientness is recognized, we can understand the strength that enabled her civilization to survive through all those ages. Whether she will survive her present phase of degradation and lead the world to a new phase is the question." (source: Sri Aurobindo and Indian Civilization - By Michel Danino). 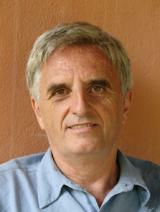 For more on Michel Danino, refer to chapter on Aryan Invasion Theory). "A German or French or English child will be taught something of Homer's Iliad and Odyssey, because they are regarded as the root of European culture and somehow present in European consciousness today. ... But Indian Epics a hundred times richer and vaster in human experience, a thousand time more present in Indian consciousness will not taught to an Indian child. Not to speak of other important texts such as the beautiful Tamil epics, Shilapathikkaram and Manimekalai." (source: The riddle of India's Ancient Past - indicdharma.blogspot.com). For more refer to http://micheldanino.voiceofdharma.com/). (source: Effects of Colonization on Indian Thought - By Michel Danino - indiacause.com). Brahmin studying Hindu scriptures. Engravings by Pierre Sonnerat. "I suspect that general relativity and quantum theory are two complimentary aspects of a deeper theory that will involve a kind of cosmic consciousness. 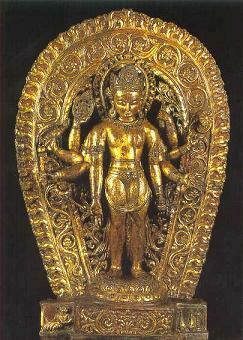 The cosmic consciousness or the Mahat of India's Samkhya Philosophy is the basis of entire creation". (source: Science and Vedanta - By H M Ganesh Rao). 262. B B (Braj Basi) Lal (1921- ) On joining the Archaeological Survey in January 1946, he held charge of the Excavations Branch and participated with Sir Mortimer Wheeler in the excavations at Harappa, now in Pakistan. In 1951 he was deputed for advanced studies at the Institute of Archaeology, London. In 1961, under a UNESCO project, he conducted excavations in Nubia, Egypt, and brought to light valuable evidence relating to prehistoric and protohistoric periods of that country. "Western linguists and historians and their, more vociferous, Indian counterparts claim that the Rigvedic Sarasvati was the Helmand of Afghanistan. The Rigvedic Saraswati, according to what is stated in the Rig Veda (RV. 10. 75. 5) itself lay between the Yamuna on the one hand and the Sutlej on the other. These two rivers do not exist in Afghanistan. (source: The Saraswati Flows on: The Continuity of Indian Culture - By B. B. Lal. p. Chapter V p. 136). Lal is critical of ‘‘Western scholars and their Indian followers’’ for not accepting the unity between the Indus Valley and Vedic Civilizations. ‘‘Most likely, the authors of the Indus valley civilization were the Sanskrit-speaking Vedic Aryans,’’ Lal asserted. Lal invoked the Rig Veda to prove his thesis. “To say the Vedic people were nomads is either ignorance or due to a willful twisting of facts,” he alleged. (source: Times of India 12/26/02). He has dubbed the hypothesis of “Aryan invasion of India” a myth. He alleged that it was still accepted for reasons other than historical. “The theory that there was an Aryan invasion of India is completely wrong,” Lal stressed in a seminar in New Delhi and alleged that political reasons were behind its being in the textbooks. “Do the proponents of this theory expect us to believe that urban Harappans, on being sent away to south India, shed overnight their urban characteristics and took to a stone age way of living?" asks Lal. (source: Aryan invasion a myth, argues former DG of ASI - indianexpress.com). For more refer to chapter on Aryan Invasion Theory). 263. Sir John Woodroffe aka Arthur Avalon (1865 -1936) the well known scholar, Advocate-General of Bengal and sometime Legal Member of the Government of India. 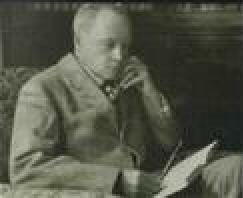 He served with competence for eighteen years and in 1915 officiated as Chief Justice. Alongside his judicial duties he studied Sanskrit and Hindu philosophy and was especially interested in the esoteric Hindu Tantric Shakti system. He translated some twenty original Sanskrit texts, and under his pseudonym Arthur Avalon he published and lectured prolifically and authoritatively on Indian philosophy and a wide range of Yoga and Tantra topics. His work helped to unleash in the West a deep and wide interest in Hindu philosophy and Yogic practices. "Ages before Lamarck and Darwin it was held in India that man has passed through 84 lakhs (8,400,000) of birth as plants, animals, as an "inferior species of man" and then as the ancestor of the developed type existing to-day. The theory was not, like modern doctrine of evolution, based wholly on observation and a scientific enquiry into fact but was a rather (as some other matters) an act of brilliant intuition in which observation may also have had some part." "Indian thought with its usual profundity and avoidance of arbitrary divisions, regards Philosophy as religious and Religion as philosophical." The Vedanta does not speak ill of any religion, but assigns to each its place....I however was concerned with the religion of the "Idolatrous" "Heathen"...The point was this,...how could such a grade people have principles so excellent that the Western Religions also laid claim to them? It is clear that God has revealed Himself at all times and to all peoples according to their capacity to receive knowledge of Him. "It is Official Christianity which has been slow to recognize the merit of Indian teaching and to give credit for anything to the "Heathen." Vedanta kindly tolerates even the most ignorant of its detractors. " "It is Official Christianity which has been slow to recognize the merit of Indian teaching and to give credit for anything to the "Heathen. The European man of a "religious" turn of mind is too often over-beset with sectarian notions." "When the faggots are stirred the flame leaps. When the Snake is stirred it rears its hood. 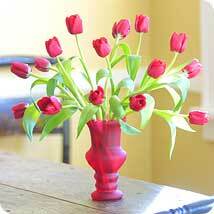 Through being stirred to action people mostly attain their proper greatness." In writing then of Indian Culture I have in mind not any soiled or hybrid developments of the time, but the principles of the civilization of old India, with its Dharma, Devata and Gomata - a civilization in its depths profound, on its surface a pageant of antique beauty - the civilization of India of the Hindus." In India there has been intellectual and spiritual freedom - the most valuable of all. The history of Europe on the contrary is marked by intolerance and abominable persecutions." "If, as is finely said in India, Satyannasti paro dharmah - there is no religion higher than truth. As the Veda says, "Truth will conquer." (Satyam jayate). (source: Is India Civilized: Essays on Indian Culture - By Sir John Woodroffe p. xiv - 22). 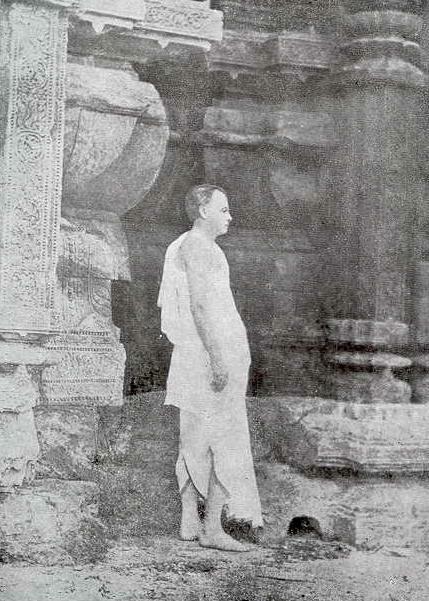 Sir John Woodroffe in Hindu attire at The Konark Sun Temple of Orissa, India. (image source: The Garland of Letters - By Sir John Woodroffe). "An examination of the Vedic thesis shows that it is in conformity with the most advanced philosophical and scientific thoughts of the West and, where this is not so, it is the scientist who will go to the Vedantist and not the Vedantist to the scientist." (source: Hinduism: The Eternal Religion - By M. D. Chaturvedi p.16-17). A judge, an educator, a Hindu scholar and translator as well as an author. During his multifaceted career, he practiced and taught law in India. Aside from his successful career in law, which lead to his appointment as Chief Justice of the high court in 1915, he had a a prolific output as a scholar of Tantra. Had it not been for him, we might still share that general prejudice regarding Tantra. At the beginning of the twentieth century, Woodroffe boldly disregarded the hostile attitude towards Tantra. Sir John Woodroffe's achievement in the exposition of Tantrik thought cannot be over estimated. Himself a follower of Tantric cult, this great Englishman edited in a masterly way a number of Tantric texts and most of his views on them are regarded as authoritative. It is mainly through his writings - a rare combination of insight and scholarship - that the ideas of the Tantras began to enter the mind of the West in modern times. (source: The Vision of India - By Sisirkumar Mitra p. 209). In his views, Tantrism represents the full flowering of the religious spirit of India. (source: Religions of Ancient India - By Louis Renou p. 84). "I believe that the East and particularly India possesses that which is the highest value. I wish to see this preserved for the mutual benefit of East and West. " "...India has Panini, Patanjali's Mahbhashya, Supadma, Kalapa, the Vakyapadiya, Bhopadeva, Sangkshiptasara, Siddantakaumudi, Laghukaumudi, amongst the ancient, while the Vyakarna Kaumudi, Upakramanika of Ishwara Chandra Vidyasagara, and the ashubodha of Taranatha Vachaspati head the moderns. How is it that all these have been displaced? " Indian tolerance is not merely a matter of temperament. It is based on the doctrine of the relativity of ordinary human knowledge and, in part, of morals and on the doctrine of Adhikara, that is the teaching that all people are not fit for the same beliefs and practices, and that what is suited to the capacity, intellectual, moral, and spiritual, of each person is that which he may and should accept, follow, and practice. Hinduism has no word for "pessimism," a European conception, nor for optimism either. The universe according to it is a Dvandva or duality of good and evil. (source: Bharata Shakti: Collection of Addresses on Indian Culture - By Sir John Woodroffe p. xxi-xxvi. For more information, refer to chapter on Yoga and Hindu Philosophy). 264. Prof Klaus Klostermaier (1933 - ) Distinguished Professor in the Department of Religious Studies at the University of Manitoba in Canada. He is author of several books including Hinduism: A Short Introduction. "Hinduism has proven much more open than any other religion to new ideas, scientific thought, and social experimentation. Many concepts like reincarnation, meditation, yoga and others have found worldwide acceptance. It would not be surprising to find Hinduism the dominant religion of the twenty-first century. It would be a religion that doctrinally is less clear-cut than mainstream Christianity, politically less determined than Islam, ethically less heroic than Buddhism, but it would offer something to everybody. It will appear idealistic to those who look for idealism, pragmatic to the pragmatists, spiritual to the seekers, sensual to the here-and-now generation. Hinduism, by virtue of its lack of an ideology and its reliance on intuition, will appear to be more plausible than those religions whose doctrinal positions petrified a thousand years ago..."
"Hinduism will spread not so much through the gurus and swamis, who attract a certain number of people looking for a new commitment and a quasi-monastic life-style, but it will spread mainly through the work of intellectuals and writers, who have found certain Hindu ideas convincing and who identify them with their personal beliefs. A fair number of leading physicists and biologists have found parallels between modern science and Hindu ideas. An increasing number of creative scientists will come from a Hindu background, will consciously, and unconsciously blend their scientific and their religious ideas. All of us may be already much more Hindu than we think." (source: A Survey of Hinduism - by Klaus Klostermaier p 475-476). 265. Swami B V Tripurari ( ? ) American born has spent over 30 years as a Hindu monastic, Awarded the sannyasa order in 1975, Swami Tripurari has studied under several spiritual masters in the Gaudiya lineage, notably AC Bhaktivedanta Swami Prabhupada. He is the founder of the Gaudiya Vaishava Society in 1985, author of several books, most recently Bhagavad-Gita: Its Feeling and Philosophy. "For those now disenchanted with industrialization and scientific materialism as well as pseudo spirituality, India's ancient spiritual heritage provides a rich alternative. Eastern philosophy, and the devotional heart of India's Vedanta in particular, can fill the empty shopping bag of our Western accomplishments." 'Whoever reads the Bhagavad Gita for the first time will be struck by the beauty and depth of this work." "Our present environmental crisis is in essence a spiritual crisis. We need only to look back to medieval Europe and the psychic revolution that vaulted Christianity to victory over paganism to find the spirit of the environmental crisis. Inhibitions to the exploitation of nature vanished as the Church took the "spirits" out of the trees, mountains, and seas. Christianity's ghost-busting theology made it possible for man to exploit nature in a mood of indifference to the feelings of natural objects. It made nature man's monopoly. This materialist paradigm has dominated the modern world for last few centuries. The current deplorable condition demands a spiritual response. A fundamental reorientation of human consciousness, accompanied by action that is born out of inner commitment, is very much needed. One of the measures that could help a great deal to fulfill this need is to regenerate and rejuvenate basic values of Hindu culture and propagate them." (source: Ancient Wisdom for Modern Ignorance - By B V Tripurari p ix -xii and 13). For more on Swami Tripurari refer to chapter on Nature Worship). 266. Madeleine Biardeau ( ? ) was professor of Indian Religion at the Ecole Pratique des Hautes Etudes in Paris, author of several books, including Studies in Hinduism: Vedism and Hinduism and India. She wrote about the interchange that is continually occurs in Indian philosophy and which can even be experienced by the more prosaic foreigner if he is willing to attune himself to the Indian atmosphere. She writes that, as well as being 'a personal loving God in the form of Krishna in the Bhagavad Gita, divinity is at the same time referred to in the Bhagavad Purana divinity and in many other texts as supremely impassive - none other than the cosmos itself. "The God of Indian devotion - bhakti who responds to the same eternal needs of the human heart as exists anywhere else, never detaches himself wholly from the immanence of the world. He is personal and endowed with feelings only in the eyes of popular piety; to thought he reveals himself both far beyond and within at the same time; he reveals it as much as he hides it; and each man is in himself in some sort a manifestation of God." (source: The Music of India - By Peggy Holroyde p. 36). 267. Navaratna S Rajaram (1943 - ) is a mathematician, computer scientist and linguist and historian of science. He has taught in several universities in the United States. Since 1984 he has been an advisor to the National Aeronautical and Space Administration (NASA). "Hindu God is not an external God who reveals himself only to a chosen prophet to be then imposed as the ultimate authority on others. God is something that anyone can know through one's own effort and seeking. 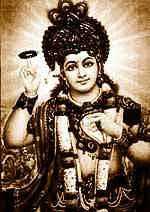 Remember Krishna's words: "All creatures great and small - I am equal to all; I hate none, nor have I any favorites." The different yogas are pathways that can lead one to knowledge of God. This is similar to ancient Greek mysticism as practiced by sages like Pythagoras. There is no dogma that an external agent enforces upon everyone in the name of One God. Thus, the Hindu God like the Greek God is a personal God - as diverse as the individual. The multiplicity of Gods one sees in Hindu and Greek pantheons is a reflection of the multiplicity of pathways explored by sages. It is a natural consequence of the spiritual freedom that is the right of every Hindu. " (source: A Hindu View of the World: Essays In the Intellectual Kshatriya Tradition - By N S Rajaram p. 8). For more refer to chapter on Aryan Invasion Theory. 268. Swami Dayanand Saraswati (1824-1883) Rightly described as a human dynamo, Swami Dayananda shook the structure of established Hinduism to its foundations and infused into it new blood and fresh vigor. The founder of Arya Samaj, was a prophet with a difference. Dayanand is the father of both Renaissance (he brought to life world’s supreme knowledge, the Vedas, with his slogan ‘Back to Vedas) and Reformation. In 1849, the British annexation of Punjab, introduced the aggressive conversion of faith of Christianity. In time, Christianity threatened each of the coexisting religions. Christian missionaries brought with them new forms of organization and techniques of proselytism. He created a psychological revolution and gave tremendous self-confidence to Hindudom. Swamy Dayananda took the Christian and Muslim converts back into the Hindu fold by performing purification rites for them. The British rulers sought to consolidate their rule by instilling inferiority complex among the then 90 per cent majority community. The British called Indians "most backward, barbaric, without the gift of scientific inventions and discoveries, the worst and most pitiable creatures, to whom we brought the light of learning, blessings of science and modernism"
Dayanand thundered: ‘Our Vedas are the earliest books, Hinduism is the most ancient of all the religions that have survived". (source: The prophet with a difference - tribuneindia.com). Another very important contribution of Swami Dayananda is his work, 'Satyartha Prakash' (The Light of Truth). It contains fourteen chapters. It is a great book. It explains the true meaning of the Vedas and therefore is 'Satyartha Prakash'. And it is based solely on the Vedas. (source: freeindia.org). 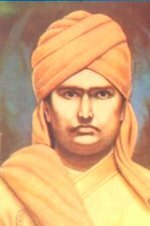 For more on Dayananda Saraswati, refer to chapter Unknown Hindu Revivalists and refer to Arya Samaj.com. "The sparkling energy of India lies in Hinduism. Without the framework of Hindu belief India would fall apart. Without Hinduism India is not herself. "Because Indian society has, like the Chinese, been a unitary one where science and religion have never been in conflict, there has been no basic split as has happened with our own Christian background. Our own antagonism between the two disciplines of theology and science has created chaos in our thinking and a curious dichotomy during the past two centuries. In India I found a thankful release from our restricted vision of the creation of God." "Hinduism has remained in constant, replenished usage throughout this tremendous stretch of time, impervious to outside influence, as onward flowing as the imperturbable Ganga itself. Not even Moghul invasion and Muslim supremacy for 700 years, nor the arrival of the British, Dutch, French and Portuguese with their own civilization and standards, penetrated into the imperious core of this steadfast faith. Hindu thought took and absorbed according to its own will, folding itself inwards at the sense of approaching danger like some gigantic sea-anemone drawing up all its tentacles, only to stretch outwards and flourish when the danger was past. One continues to hope that this will remain so, that modern Indians will realize that this is their enviable strength despite all their understandable yearnings for the material advantages of technology which they have seen give power and monopoly of advantage to the Western world. But their quality of synthesis, of intelligent absorption, may still save them from the sterility of urban life and the monotonous obsession with quantity and things, rather than with quality and life-perspective." (source: The Music of India - By Peggy Holroyde p. 44-52). "Hinduism cannot be called a philosophy, nor is it a well defined religion. It is, rather, a large and complex socio-religious organism consisting of innumerable sects, cults, and philosophical systems and involving various rituals, ceremonies and spiritual disciplines, as well as the worship of countless gods, and goddesses. The many facets of this complex, and yet persistent and powerful spiritual tradition mirror the geographical, racial, linguistic and cultural complexities of India’s vast subcontinent. The manifestations of Hinduism range from highly intellectual depth to the naïve ritual practices of the masses. If the majority of the Hindus are simple villagers who keep the popular religion alive in their daily worship, Hinduism has, on the other hand, brought forth a large number of outstanding spiritual teachers to transmit its profound insights. " Modern physics has shown that the rhythm of creation and destruction is not only manifest in the turn of the seasons and in the birth and death of all living creatures, but is also the very essence of inorganic matter. Modern physics has thus revealed that every subatomic particle not only performs an energy dance, but also is an energy dance; a pulsating process of creation and destruction. "I saw cascades of energy coming down from outer space, in which particles were destroyed and created in rhythmic pulses; I saw the atoms of the elements and those of my body participating in this cosmic dance of energy; I felt its rhythm and I heard its sound, and at that moment I knew that this was the Dance of Shiv, the Lord of Dancers." "The metaphor of the cosmic dancer has found its most profound and beautiful expression in Hinduism in the image of the dancing Shiva." "The dance of Shiva is the dancing universe, the ceaseless flow of energy going through an infinite variety of patterns that melt into one another’’. For the modern physicists, then Shiva’s dance is the dance of subatomic matter. As in Hindu mythology, it is a continual dance of creation and destruction involving the whole cosmos; the basis of all existence and of all natural phenomenon. Hundreds of years ago, Indian artists created visual images of dancing Shivas in a beautiful series of bronzes. In our times, physicists have used the most advanced technology to portray the patterns of the cosmic dance. The bubble-chamber photographs of interacting particles, which bear testimony to the continual rhythm of creation and destruction in the universe, are visual images of the dance of Shiva equaling those of the Indian artists in beauty and profound significance. The metaphor of the cosmic dance thus unifies ancient mythology, religious art, and modern physics. It is indeed, as Coomaraswamy has said, ‘poetry, but none the less science." Lord Shiva’s dance is the dance of subatomic matter. "The idea of a periodically expanding and contracting universe, which involves a scale of tome and space of vast proportions; has arisen not only in modern cosmology, but also in ancient Indian mythology. Experiencing the universe as an organic and rhythmically moving cosmos, the Hindus were able to develop evolutionary cosmologies which come very close to our modern scientific models. The Hindu sages were not afraid to identify this rhythmic divine play with the evolution of the cosmos as a whole. They pictured the universe as periodically expanding and contracting and gave the name kalpa to the unimaginable time span between the beginning and the end of one creation. The scale of this ancient myth is indeed staggering; it has taken the human mind more than two thousand years to come up again with a similar concept." "..the two foundations of of twentieth-century physics - quantum theory and relativity theory - both force us to see the world very much in the way a Hindu, Buddhist...sees it." (source: The Tao of Physics: An Exploration of the Parallels Between Modern Physics and Eastern Mysticism - By Fritjof Capra p. 85 - 245 and 17). Capra had shown Heisenberg numerous examples that the principal Sanskrit terms used in Hindu and Buddhist philosophy – Brahman, rita, lila, karma, samsara etc. had dynamic connotations. (source: Uncommon Wisdom - By Fritjof Capra p. 49 and p 306 -309). 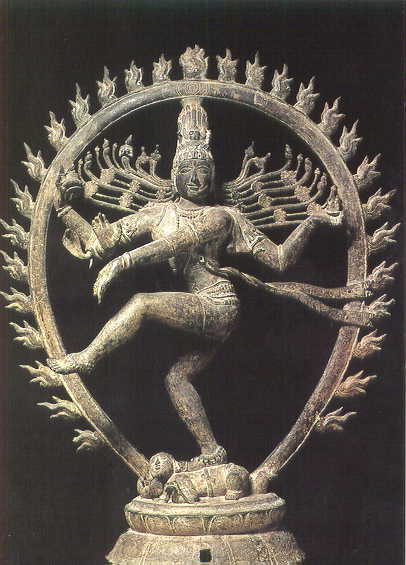 Refer to Shiva's Cosmic Dance at CERN - the European Center for Research in Particle Physics in Geneva.